It's Easier and More Fun to Stay Well, than Get Well! It’s Easier and More Fun to Stay Well, than Get Well! Physical workers, or occupational athletes – whether they’re a nurse, police officer, fire-fighter or trades person, rely on their body functioning at 100% in order to do their job and provide a living for their families. In our experience, they’re often the ones who visit us after putting up with a particular problem for years (if not decades) and it can end up being a problem that impacts their holidays and then their retirement due to the long-term damage. How about we shift the focus of our healthcare to being proactive rather than reactive? You don’t have to be perfect, but getting the basics right like proper hydration, nutrition, rest, stretching, posture, and maintaining your spine and nerve system will go a long way to prolonging your health and avoiding regret. It’s too often that people say, “I wish I knew what to do sooner” – so we’re trying to help people avoid finding themselves in that situation! 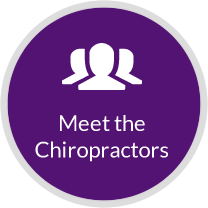 No matter what stage of your career that you’re in, talk to your chiropractor about wellness care and find out how chiropractic care can help keep you working at your best!